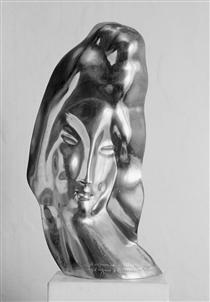 Alexander Archipenko was born in Kiev, (Russian Empire, now Ukraine) in 1887, to Porfiry Antonowych Archipenko and Poroskowia Vassylivna Machowa Archipenko; he was the younger brother of Eugene Archipenko. From 1902 to 1905 he attended the Kiev Art School (KKHU). 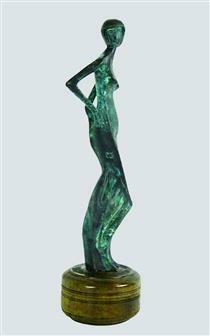 In 1906 he continued his education in the arts at Serhiy Svetoslavsky (Kiev), and later that year had an exhibition there with Alexander Bogomazov. 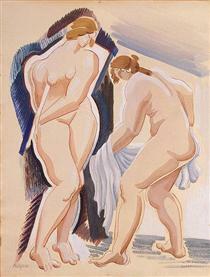 He then moved to Moscow where he had a chance to exhibit his work in some group shows. 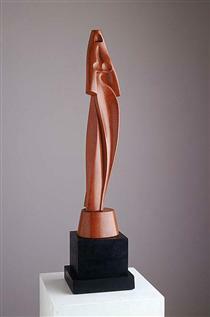 Archipenko moved to Paris in 1908 and was a resident in the artist's colony La Ruche, among émigré Russian artists: Wladimir Baranoff-Rossine, Sonia Delaunay-Terk and Nathan Altman. 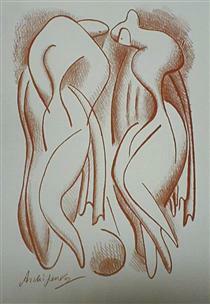 After 1910 he had exhibitions at Salon des Indépendants, Salon d'Automne together with Aleksandra Ekster, Kazimir Malevich, Vadym Meller, Sonia Delaunay-Terk, Georges Braque, André Derain and others. 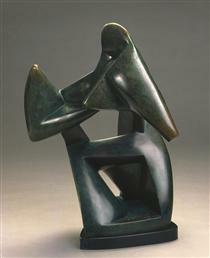 Four of Archipenko's Cubist sculptures, including Family Life and five of his drawings, appeared in the controversial Armory Show in 1913 in New York City. 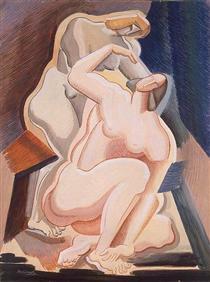 These works were caricatured in the New York World. 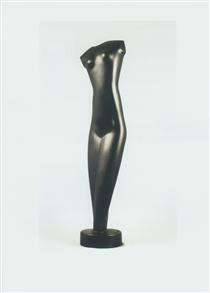 Archipenko moved to Nice in 1914. 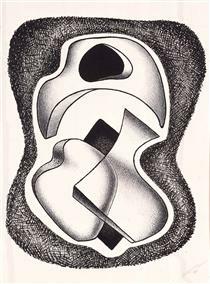 In 1920 he participated in Twelfth Biennale Internazionale dell'Arte di Venezia in Italy and started his own Art school in Berlin the following year. 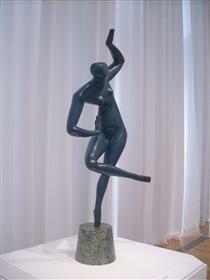 In 1922 Archipenko participated in the First Russian Art Exhibition in the Gallery van Diemen in Berlin together with Aleksandra Ekster, Kazimir Malevich, Solomon Nikritin, El Lissitzky and others. 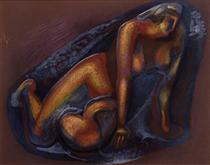 In 1923 he emigrated to the United States, and participated in an exhibition of Russian Paintings and Sculpture. He became a US citizen in 1929. In 1933 he exhibited at the Ukrainian pavilion in Chicago as part of the Century of Progress World's Fair. 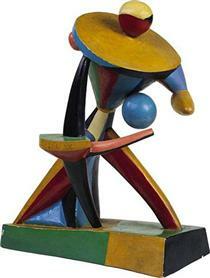 Alexander Archipenko contributed the most to the success of the Ukrainian pavilion. 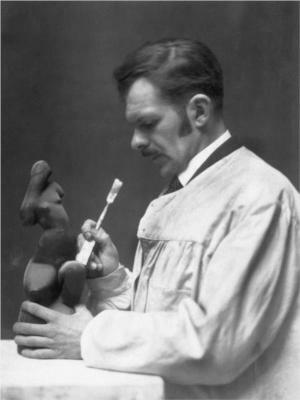 His works occupied one room and were valued at $25,000 dollars. 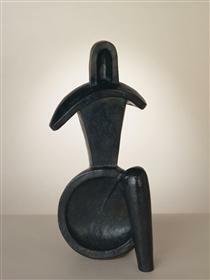 In 1936 Archipenko participated in an exhibition Cubism and Abstract Art in New York as well as numerous exhibitions in Europe and other places in the U.S. 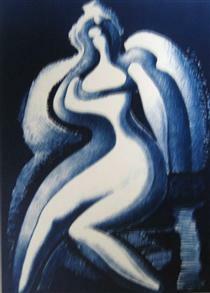 He was elected to the American Academy of Arts and Letters in 1962. 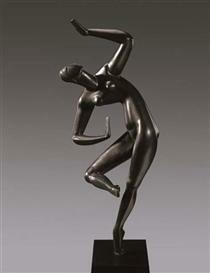 Alexander Archipenko died on February 25, 1964, in New York City. He is interred at Woodlawn Cemetery in The Bronx, New York City. 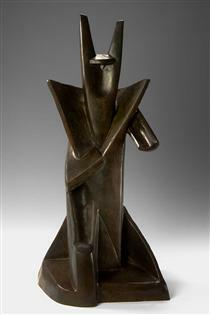 Archipenko, along with the French-Hungarian sculptor Joseph Csaky, exhibited at the first public manifestations of Cubism in Paris; the Salon des Indépendants and Salon d'Automne, 1910 and 1911, being the first, after Picasso, to employ the Cubist style in three dimensions. 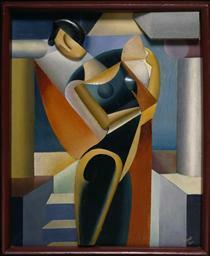 Archipenko departed from the neo-classical sculpture of his time, using faceted planes and negative space to create a new way of looking at the human figure, showing a number of views of the subject simultaneously. 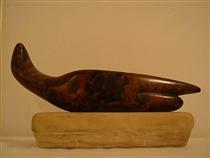 He is known for introducing sculptural voids, and for his inventive mixing of genres throughout his career: devising 'sculpto-paintings', and later experimenting with materials such as clear acrylic and terra cotta.